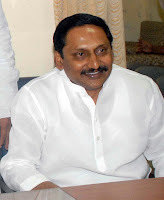 Andhra Pradesh Government, headed by Mr.Kiran Kumar Reddy plunged into crisis after 69 MLA's belonging to the Telangana Region resign from their Assembly seats demanding creation of Telangana State. 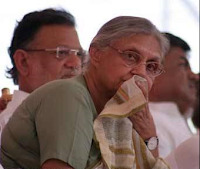 Currently, 32 Congress MLAs have resigned and a couple more are yet to follow suit. However, around 11 MLAs from the Hyderabad region, have not yet made any decision as yet except for Jubilee Hills MLA, Mr.Vishnuvardhan Reddy who was the first to resign. This would put pressure on the remaining MLA's to follow suit or face public wrath in the next elections. Constitutional experts say that the Kiran Kumar Reddy government is in crisis as of now. Despite the numbers, Kiran Kumar Reddy Government cannot continue morally for the fact that the entire Telangana Region is not represented in the state assembly. Experts point out that once these resignations are accepted nine districts from Telangana will not have any representation in the assembly. A government cannot function in this manner. Out of 12 Congress MP's representing Telangana region, 11 MP's have decided to resign. Let's see how the future would unfold. In a shocking incident, Members of Andhra Pradesh Legislature belonging to Telangana Rashtra Samithi physically attacked Loksatta Party Supremo, Mr.Jayaprakash Narayan (JP) at the Media Point in State Assembly premises yesterday. The reason for the provocation was when JP deplored the obstruction of Governor's speech in the Assembly by TRS Legislators at the Media Point. Knowing this, TRS MLA's came and started arguing with him in vulgar language. 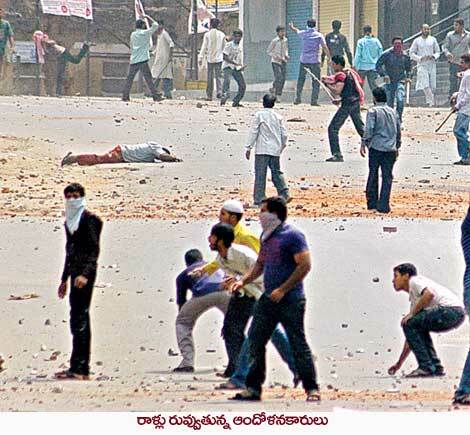 At one point of time, KT Rama Rao (Son of KCR and an MLA) was heard shouting "hit him". Another MLA, K.Vidyasagar hit JP on the head abusing in vulgar language which cannot be written here !! The amount of positive publicity that KCR and his TRS party gave to the Telangana issue is been completely diluted by the irresponsible behavior of their elected members - including KCR. It is widely claimed that KCR used to sit on agitations only to blackmail the Congress Government and upon receipt of money, he used to withdraw from the agitation. 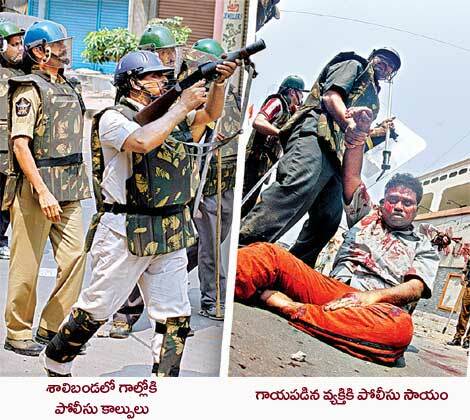 No one can prove this but KCR's behavior also used to complement the myth. 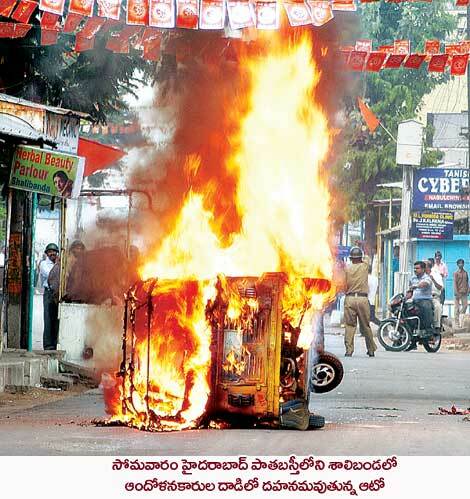 KCR planned to withdraw agitation in the night in December 2009 but people forced him to continue it - similar to how Devanand was forced to sit on a fast in the movie "Guide". Continuous breaking of promises by KCR have further eroded his credibility in the people. Anyone supporting the cause of Telangana were immediately paired with TRS and mocked!! By this irresponsible behavior by elected members from TRS is giving doubts whether these people have any respect towards Democracy. Goondas who have attacked need to be arrested at the earliest and their Membership cancelled from the State Assembly and they should never be allowed to contest elections. It is another 3 days to go for the All Party Meet that the Central Government had called for to discuss the Views, Suggestions and recommendations of The Sri Krishna Commission that is looking into the demand for separate Telangana State. The commission had already submitted its recommendations to the Central Government but not to the public. It is strange to note that the Congress Party Government had already gone through the recommendations but took time to put it across to all the parties. So, they do have buying time and they can come to the meeting with strategies. The main opposition, Bharatiya Janata Party (BJP) had boycotted the meeting along with Telangana Rashtra Samiti (TRS) which is spearheading the separate movement. They claim that the Sri Krishna Commission itself is a time wasting device. They rightly bring before the fact that when Andhra State was carved out of the erstwhile Madras State, no one took the opinion of all the areas of the State but only from the Telugu speaking areas. Since majority wanted separate state on linguistic basis, a separate state was carved out. Now, to create Telangana State, the Sri Krishna Commission is taking opinion from non-telangana regions too. If a section of the region demands a separate state due to economic & cultural regions, Government should take majority view from that region and take a decision accordingly. 1) Retain Combined Andhra Pradesh: Samaikya (Combined) Andhra Pradesh is definitely not acceptable to people of Telangana. 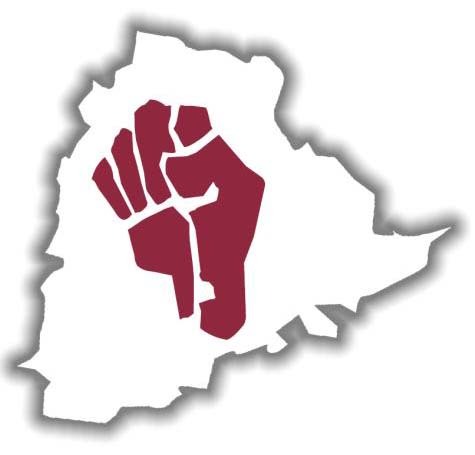 2) Carve out Telangana State: Politicians from Andhra and Raayalaseema Regions are against this for no particular reason other than "All Telugus should stay united". 3) Carve out three states - Telangana, Andhra & Hyderabad where in Hyderabad would be clubbed with Ranga Reddy District and be made either a separate state or a Union Territory directly administered by the Central Government. This option would be acceptable to Andhras and also those Hyderabadis who have migrated to Hyderabad. Andhras would be ready to make the state into 10 pieces is Hyderabad is not given solely to Telangana. But, Telangana without Hyderabad is not workable as Hyderabad would be the driving force for development of Telangana and also, it is the historic capital of the erstwhile Nizam State of which Telangana is the Telugu speaking part. 4) My favourite option: Andhra State, Telangana State and Hyderabad would be acting as a Union Territory along with being capital of Telangana State. I hope Andhras should not have problem as Hyderabad would be administered by Central Government (most of the important departments) while people from Telangana can be content that Hyderabad is their capital. A working example we have is Chandigarh,a Union Territory is still a common capital for both Punjab & Haryana states. Let's see what's in store. This is a very crucial month for the Telangana issue as the Sri Krishna Commission would deliver its verdict regarding the formation of the separate state to be carved out of Andhra Pradesh. If the Commission gives the verdict in favour of the separation then there would be trouble across other parts of the state and if the verdict is against the separation then entire Telangana, including the state capital, Hyderabad would boil. So, got to keep a close watch on this issue and how the leaders react and act during the crisis. Somehow, my gut feeling is that Telangana would be formed !! God Willing !! 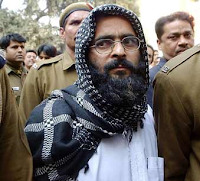 Afzal was awarded the death sentence by a Delhi sessions court on December 18, 2002, after being convicted of conspiracy to attack Parliament on December 13, 2001. The death sentence was upheld by Delhi high court on October 29, 2003. He had then appealed against it in the Supreme Court, which rejected it on August 4, 2005. The sessions court had also fixed the date of his hanging on October 20, 2006, in Tihar Jail. He however filed a mercy petition with the President, and since then govt is sitting on his plea. The six step procedure in the Afzal Guru case starts from the President receiving the mercy petition, later which the same will be forwarded to the MHA for an opinion. The MHA then seeks the view of the concerned state government. Then the MHA receives the state government report, adds its own view and eventually tables a report to the President, who will in-turn decide on its recommendation. A new twist in the tail? A week before Ajmal Kasab was awarded death penalty for 26/11, the MHA pulled up the Delhi government for sitting over the file of Parliament attacker Afzal Guru's mercy petition for four years. Finally, after sixteen reminders, Delhi Government decided to back the Supreme Court's verdict to hang Afzal Guru. Interestingly, the decision came with a huge rider that the implications of law and order should be closely examined while carrying out the execution of the Parliament attack convict. The announcement of the date of Afzal’s hanging let to large scale demonstrations in the Kashmir in the form of strikes, protests etc. Thereafter what followed is the competitive vote bank politics which completely blurred the line between political propriety and absurdity. Farooq Abdullah went to the extent of making a veiled threat that Kashmir would be set on fire and the country will be divided between Hindus and Muslims. 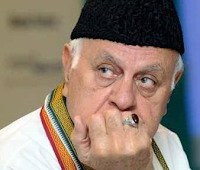 He even predicted that Guru’s hanging will threaten the life of the judges who tried him and upheld the death sentence. The offence that Afzal Guru is charged with is not a murder, theft or dacoity. It is much more than that. It is an assault not only on the life of some eight people but a gruesome attack on the very heart of Indian democracy. Any stand taken by the government, not for any valid reason but for petty political gains, would have serious long term security implication. The Indian state has for long earned the reputation of being a soft state and govt for sure would not like it to be called as a supine democracy in the world. 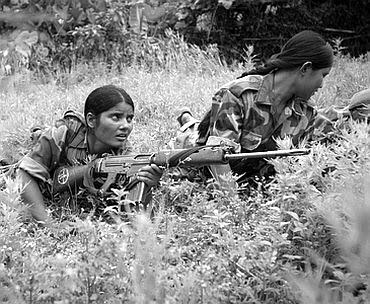 The brutal killing of 75 Central Reserve Police Force troopers and a Chhattisgarh head constable in the Naxalite-infested Dantewada district on 6th April 2010 is a stark reminder of the murderous power that the Maoist terrorists wield today. Born in Andhra Pradesh's Karimnagar district, Rao is a science graduate and has a degree in education as well. After the death of Kondapalli Seetharamaiah, the founder of the Peoples' War Group, the main Naxal group in the 1980s, school teacher Rao took charge. Intelligence agencies say he has trains cadres in guerrilla warfare; he is also the final word on Naxal strategy. Rao -- who is called Kishenji by his cadres -- is yet another Naxal leader who hails from Andhra Pradesh. Rao -- who has a degree in science -- is believed to have worked in Maharashtra and Chhattisgarh before he was sent to West Bengal where he revived the dying Naxalite movement. He is said to live in the jungles of Lalgarh, emerging usually to grant media interviews. Sudarshan began fighting for Telangana's farmers before he gravitated to the Naxalite movement. 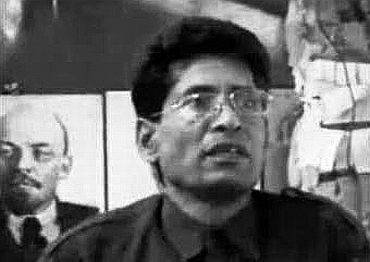 Bureau secretary of the CPI-Maoist's central region he has been a Naxalite for nearly 30 years. Intelligence Bureau sources believe he is in charge of Naxal operations in Andhra Pradesh and Chhattisgarh, two important Naxal states. Sudarshan is particularly influential in Chhattisgarh's Dantewada area and that is why security agencies believe Tuesday's massacre could not have occurred without his intervention. Is the Naxalite spokesperson, one of the movement's senior-most leaders, in police custody? An alumnus of the prestigious Regional Engineering College in Warangal, Andhra Pradesh, Cherukuri did his master's in technology before leading the Radical Students Union during the Emergency. He went underground thereafter, and is one of India's most wanted men. Or is Azad no longer most wanted? Bose -- a rare Bengali in the Andhraite-dominated Naxal leadership -- is the Naxalites's international face. 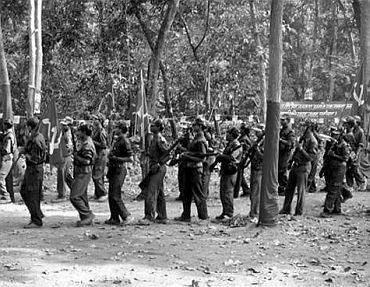 Bose, whose name is said to have cropped up several times during the interrogation of Naxalite ideologue Kobad Ghandy, interacts with Nepal's Maoist leaders. This native of Andhra Pradesh's Karimnagar district shuttles between Andhra Pradesh and Chhattisgarh, and is Lalgarh Naxal M Koteswar Rao's younger brother. 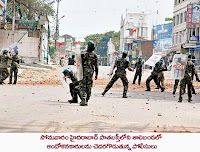 The riots in the old city of Hyderabad started during the weekend and it is continuing unabated despite the presence of 10,000 police and Rapid Action Force (RAF) Personnel. 2 persons were killed and more than 50 people, including women and children are injured in the riots. One of the casualty was identified as K Satyanarayana, a 22-year-old cash collector for a private organization who was stabbed by unidentified persons at Kilwat near Charminar on Monday afternoon. He was rushed to the nearby Esra hospital where he was declared dead. They are a poor labour family which migrated from Medak District to the City. He is a sole earning member of the family. According to the police, at least 14 houses were looted and one house burnt in Aliabad by the rampaging mob. Twelve vehicles, both government and private, were burnt or destroyed in the day's violence while stone pelting was reported from Shamsher Gunj, Aliabad, Lal Darwaza, Shalibanda, Kilwat, Charminar bus stop, Moghulpura and Hari Bowli. In a couple of places, the police resorted to lathicharge to disperse the violent mob. In all, 16 persons were admitted to Osmania General Hospital on Monday with stab injuries and another six with head injuries. "The condition of two of them is critical," OGH duty RMO Mohammed Rafi said. Since Saturday night, 80 persons have been treated at the hospital. The government imposed an indefinite curfew in all the 17 police stations falling under the South Zone police limits in the Old City effective 7 PM on Monday. Muslims have put up banners on a huge scale on account of Milad-ul-Nabi (birthday of Prophet Mohammad) and they have not removed the banners. Hindus wanted to put up their own banners on occasion of the birthday of Lord Rama and for today's birthday of Lord Hanuman. So, they started removing the banners put up by Muslims as their festival had already passed away. Trouble started when Muslims objected to this. They thrashed the Hindus who were putting up the banners and also ransacked the Hanuman Temple nearby. This enraged Hindus and thus the trouble started. Police reached and cooled down the tempers but once they left the place, trouble again started. It spread to entire old city within a very short span of time. 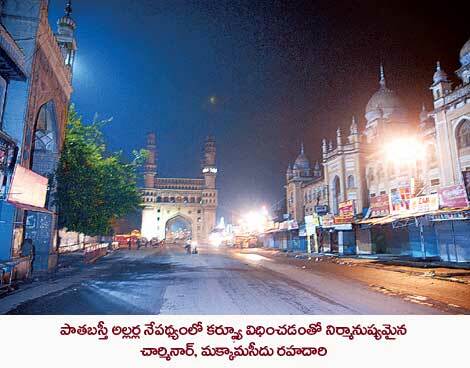 Hyderabad is witnessing curfew almost after 6 years. 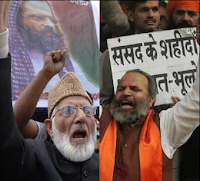 * Heavy competition between the Muslim fundamentalist party, Majlis-Ittehadul-Muslimeen (MIM) and Hindu Nationalist, Bharatiya Janata Party (BJP) led to riots during the 1983 elections. 4 people died while 17 people were injured during these riots. * Riots broke out during Ganesh Nimarjan Procession in 1984 in which curfew was imposed in 50 police station limits throughout the city. 12 people perished in those riots while more than 60 were injured. 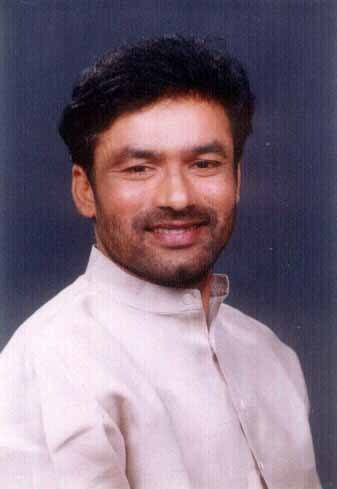 * In 1990, famous rowdysheeter, Mohammad Sardar was killed during a police encounter. 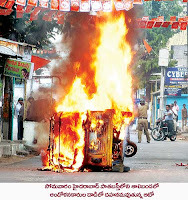 Riots started on a very very large scale and the then Chief Minister, Mr.Chenna Reddy declared on the floor of the house that politicians opposing him are behind these riots. In these riots, more than 150 people were killed while more than 500 were injured. Curfew was imposed throughout the city for more than 20 days !! During that time, people in our galli in Ram Nagar area spent sleepless nights voluntarily patrolling the area and trying to secure it from rioters. Local police also helped us during the patrolling. Couple of streets away, local Muslims were patrolling their areas. Pretty tense situation. 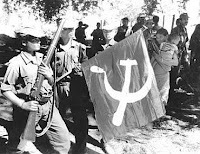 * Curfew was again imposed for two days in 1992 during Ganesh Nimarjan. During those years, it was quite common to see Muslims throwing stones on Ganesh processions !! * In the same year 1992, 5 people were killed when protesters were marching against the destruction of Babri Masjid in Ayodhya, Uttar Pradesh State. * 144 Section was promulgated during the Ganesh Nimarjan Processions in 1995 to control riots. * In 1997, two people were killed during protests commemorating the destruction of Babri Masjid in Ayodhya in 1992. * In June 1998, some people distributed pamphlets denigrating "some religion". 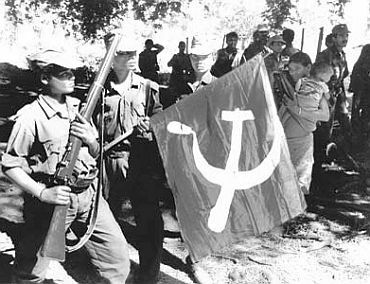 Riots started immediately in which 5 people were killed. Curfew was imposed for 4 days. 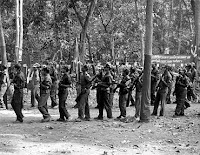 * In December 2003, riots broke out in Kishenbagh. One person died due to stab wounds. 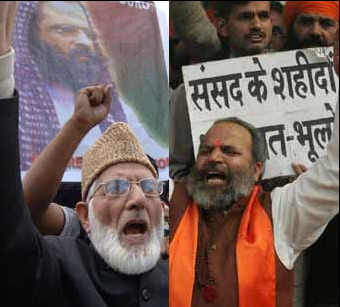 * In the same year, riots broke out when Muslims took out a protest march commemorating the Babri Masjid demolition. 5 people were killed and more than 30 injured. 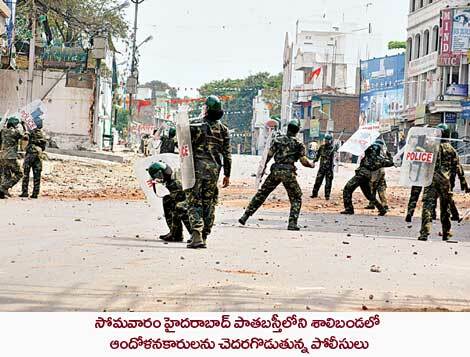 Curfew was imposed throughout Old City. 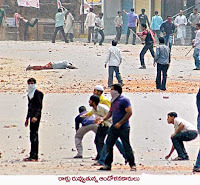 * Between 2008-2009, small scale riots broke out in the areas of Chintal Basti, Habib Nagar, Asif Nagar and Madannapet. Earlier, only people from Hyderabad who know the local culture, politics and geo-political situation were made as Circle Inspectors and Sub-Inspectors. That was put away by the Government and it hired non-locals who have a very poor understanding of the areas. These are from the Andhra regions who have very little or no knowledge of the city and also the language. Police personnel themselves donot know lot of areas under their jurisdiction. If that is the case then what sort of policing they would do ?? This shows Government's utter lack of responsibility in taking care of the security situation in the state capital. 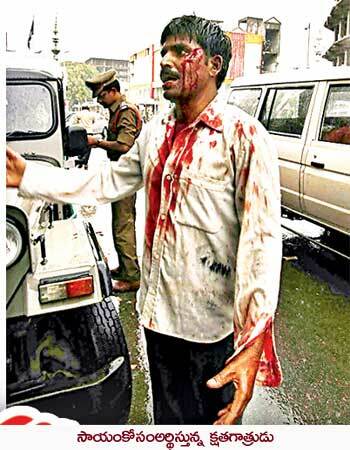 It is common knowledge that Hyderabad is ruled by the Majlis-Ittehadul-Muslimeen (MIM) and its goons. Since this Muslim fundamentalist party supports the "Secular" Congress Party Government, they were given a very very free hand. This party believes to bring back the rule of Nizam to the city of Hyderabad when Muslims ruled over their Hindu subjects. The Members of Legislative Assembly (MLA's) of this party act as a pure rowdy sheeters. They attack those who criticize them with impunity. They also attack anyone whom they believe they are against Islam. They are also against any sort of development in the city. While the Pro-Hindu Bharatiya Janata Party (BJP) MLA, Mr.Kishan Reddy agreed to relocate Temples which are obstructing traffic, MIM simply said they are against any relocation of Mosques. Roads in the Nampally, Darusalam, Jambagh and MJ market areas have the most numbers of religious structures. For instance there are 53 places of worship on the 1.5 km stretch between Ek Minar Masjid and Darusalam road, a city planner said. Likewise, 38 religious structures stand in the way of widening of roads at Asif Nagar, Langer Houz, Toli Chowki, Puranapul, and Lakdikapul area. On the 1.5 km stretch between Purnapul and Toli Mosque at Karwan, there are 31 religious structures. 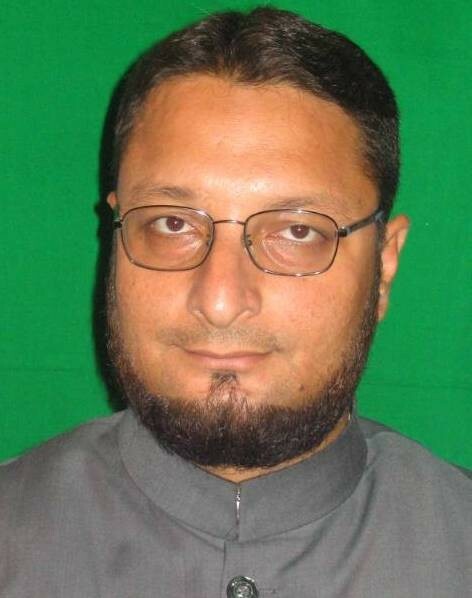 MIM president and MP, Mr Asaduddin Owaisi, who was educated in London says, “We will oppose the move to even relocate mosques. The Central and the State Wakf Acts stand as protection to existing mosques. First, let the officials come out with a list of religious structures that have been constructed illegally and those that have existed for decades with proper documents,” he said. Being born in Hyderabad is a bad luck when we are people like Owaisi ruling us. The sad part is people still vote to the Congress Party despite the fact that they support fundamentalist parties like MIM and call themselves "Secular".